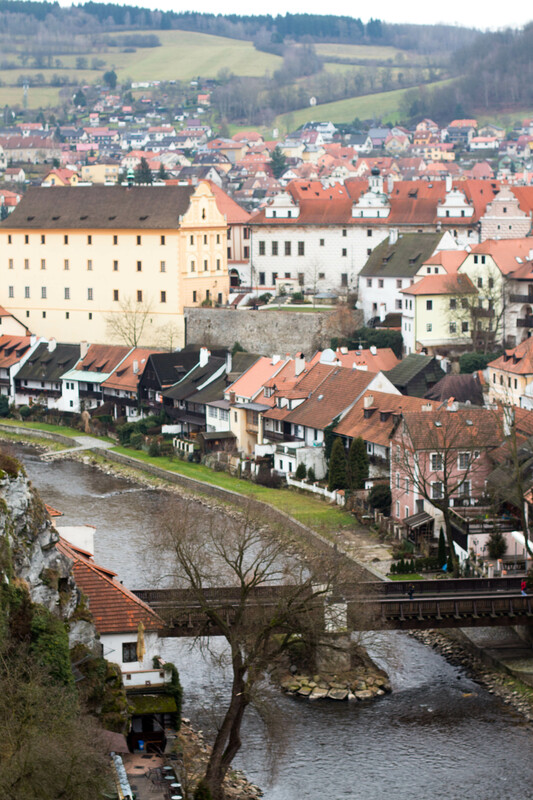 Our original plan was to go from Prague straight to Salzburg, but the plan changed when we found out we could have our own driver take us from point A to point B with a day stop in Cesky Krumlov. I can honestly say I have never heard of this place before in my life. It’s as if you step back in time as soon as you leave the car. Once we arrived we found a nearby cafe for lunch and headed on our way to the center of the town. Walking around you can’t help but wonder how on earth a place like this exists?! Such a fairy tale setting I tell you. As I mentioned here, rumor was that there were bears guarding the castle. I was skeptical to say the least. I had my heart set on the existence of said bears. You can’t make this stuff up. 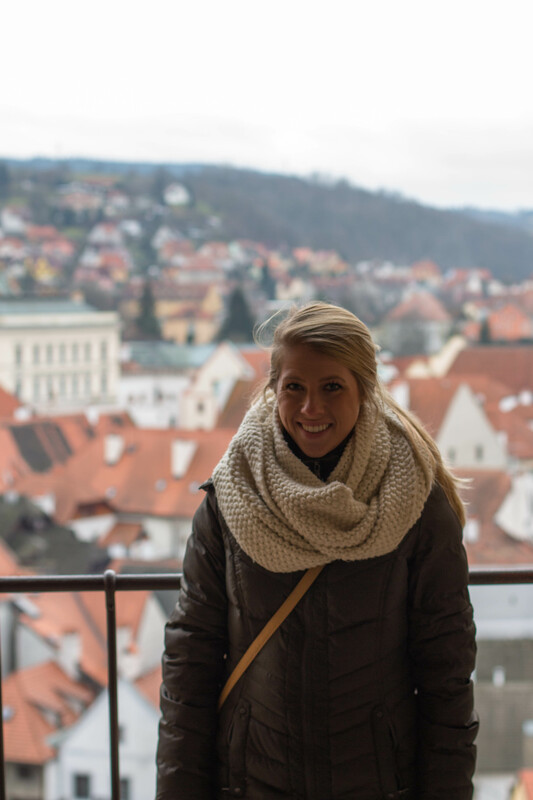 So, we wandered through the winding cobble stone streets of colored houses, quaint shops, and cafes up to the castle. We finally got to the moat and saw the bears’ food and home, but no bears (Vok, Kateřina, and their two cubs Daxi and Hubert). I think they must have been snoozing. Heck, I would too to get away from the freezing cold. I was pretty bummed, but the view and the colorful castle quickly cheered me up. 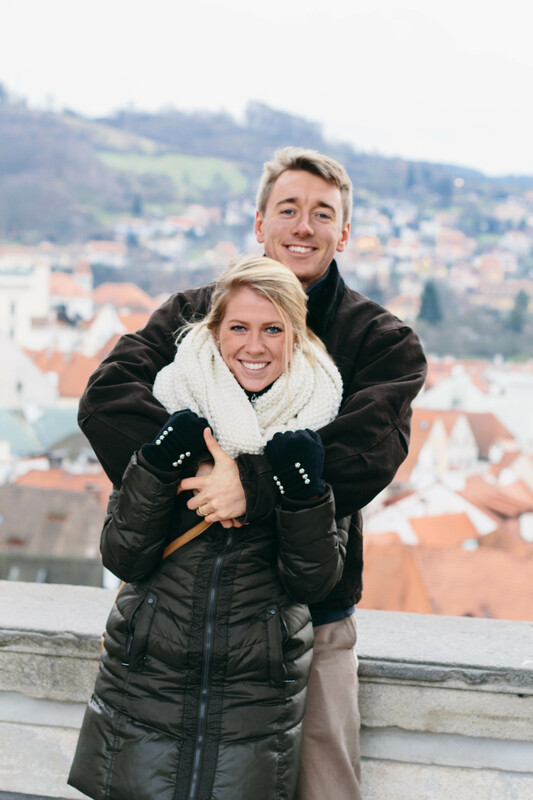 Ben and I were laughing over lunch that if you told high school Ben and Carrie that one day we would explore Cesky Krumlov we would probably laugh and ask where in the world that was. Although unexpected, I couldn’t be more thrilled to have spent the day in this enchanting little town with my favorite person.